Ronan (b. 1971) and Erwan Bouroullec (b. 1976) are brothers and designers based in Paris. They have been working together for about 15 years, bonded by diligence and challenged by their distinct personalities. They have collaborated with key players in design industry, such as Vitra, Magis, Cappellini, Alessi, Flos, Kvadrat, Mattiazzi and HAY. The collaboration between Studio Bouroullec and Iittala began in the late 1990s with Relations project. From designing spaces to furniture, taking on architectural projects to designing textile wall systems or comprehensive collections, the Bouroullecs maintain experimental activity with Gallery kreo. 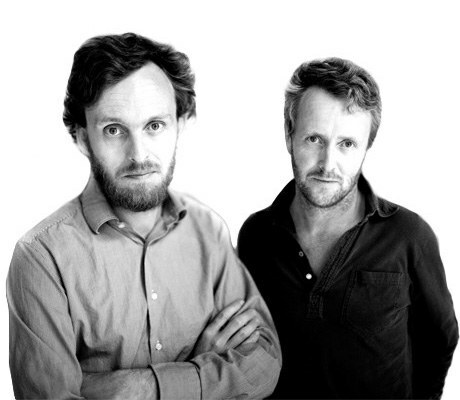 Several exhibitions have been devoted to Ronan & Erwan Bouroullec, including the Design Museum in London and the Museum of Contemporary Art in Los Angeles. Recently they have been exhibiting at the Centre Pompidou Metz, Museum of Contemporary Art in Chicago and at the Arts Décoratifs in Paris.